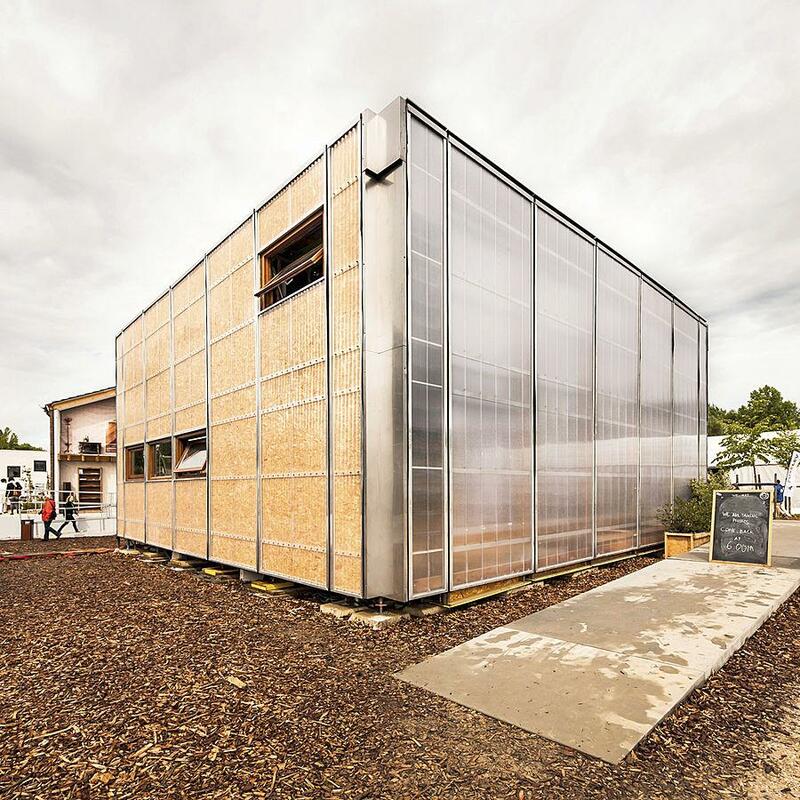 The School of Architects in Barcelona have used Marlon CS Longlife as part of their Team RESSO eco house design for the European Solar Decathlon 2014 held in Versailles, France. Drawing inspiration from the consequences of the real estate bubble which struck Spain from 1997 to 2007 and resulted in more than 800 000 empty housing units, the Resso project is a prototype of low-cost construction with variable usage, which could be used after the Solar Decathlon as a community house in the rural city of Sant Muç, situated 45 km north of Barcelona. The prototype consists of a parallel piped unit with a supporting structure made of scaffolding. The two south façades are covered by Marlon CS Longlife translucent polycarbonate in order to generate passive solar energy. 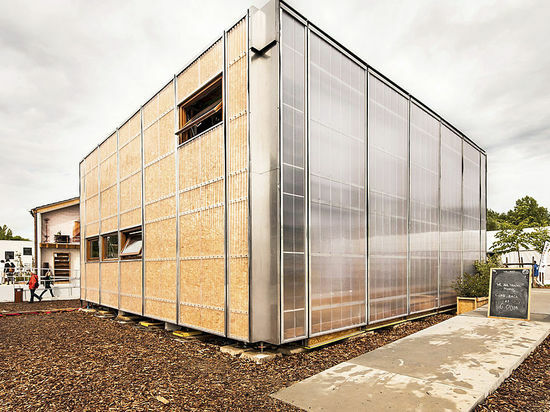 The Marlon CS has been installed in front of the OSB boarding with the resulting cavity between the polycarbonate corrugated sheeting and the boarding recuperating the warm air generated between the two layers. This warm air is then circulated throughout the building providing heating during winter. 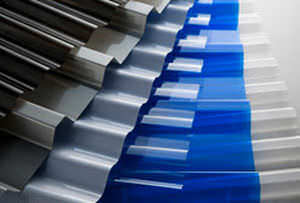 Marlon CS skins were also chosen for ventilated cladding in summer and as a heat captor in winter.